Welcome to the Final Frontier! 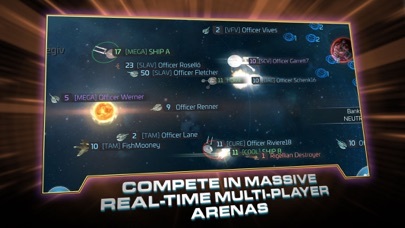 Explore Khan’s Faction space to experience all new Mission content and gameplay! 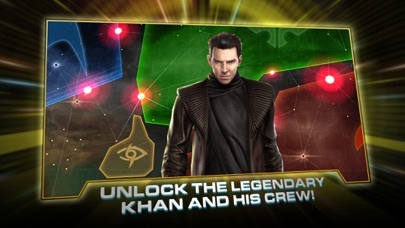 Unlock legendary Star Trek character Khan and his crew of Augments, and for the first time, capture special outposts in Augments space to top leaderboards and earn iconic rewards. You have the conn! Summon your skills in strategy, combat, diplomacy, and leadership to master the dangerous universe of Star Trek Fleet Command. Enter a galaxy on the brink of war as Federation, Klingon, and Romulan forces vie for control of the Alpha and Beta quadrants. Discover an ancient secret that could tip the scales of power forever. 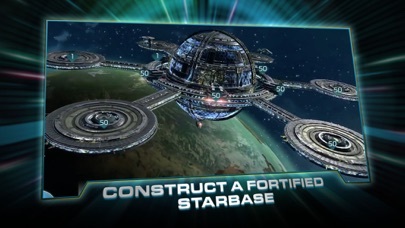 As the commander of a starbase on the edge of civilized space, you will recruit iconic officers like James T. Kirk, Spock, and Nero - and build powerful ships including the Enterprise, the Romulan Warbird, and Klingon Bird of Prey. 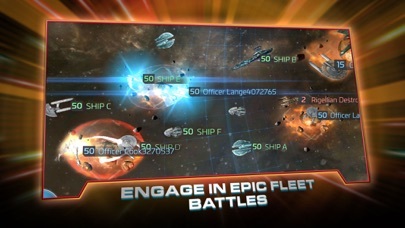 Join millions of players - forge alliances, defeat your enemies, and build an epic fleet to secure, or dominate, the galaxy. Explore strange new worlds, seek out new life and new civilizations, boldly go where no one has gone before! 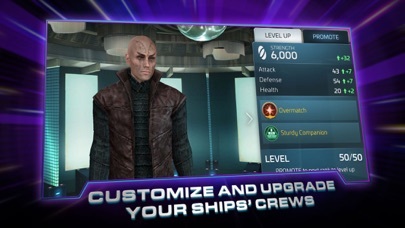 Be prepared to: - Experience epic conflict in a vast, dynamic galaxy - Collect, build, and upgrade iconic ships - Take the conn and control ships in star system and galaxy views - Encounter famous Star Trek™ characters in an epic, galaxy-spanning storyline - Help locals, fight pirates, or negotiate peace in hundreds of unique missions - Recruit famous officers with unique, tactical abilities - Ally yourself with Federation, Klingon, or Romulan forces - Work with and against thousands of other players in real-time - Build, upgrade, and defend your starbase - Discover new technologies, ship upgrades, and resources - Decimate the Romulans, brawl with the Klingons or destroy the Federation; The choice is yours - Create or join powerful player Alliances to dominate star systems and become the most powerful players in the galaxy Key Features: - An open world, strategy MMO - Free to play - Stunning graphics - AR Filters allow you to bring your ship to life! Unlock a new filter with every new ship you build. - Iconic Star Trek™ characters, ships and tech - Fierce battles among the stars with players all over the world - A New, immersive Star Trek™ story in the Kelvin Timeline - Become the leader or member of a mighty alliance - Explore the Star Trek Kelvin Timeline - Multiple language options Download Star Trek Fleet Command today and join millions all over the world. © 2018 Scopely, Inc. All rights reserved. TM & © 2018 CBS Studios Inc. © 2018 Paramount Pictures Corp. STAR TREK™ and related marks and logos are trademarks of CBS Studios Inc. All Rights Reserved. This game has promise shows great potential but it’s buggy and very restrictive even more so than other games of it’s type and definitely focused on getting your money to grow and I understand they didn’t do this at the greatness of the heart. It is a moneymaking venture but I believe they take it to an extreme. 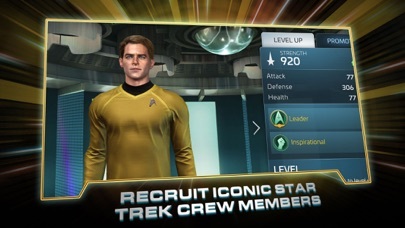 I'm not sure who thought the game was a good fit for the Star Trek franchise, it's not. Apart from the buggy nature of the game that has me restarting it several times a session, the gameplay encourages players to bully the weaker players.Progression is completely linked with attacking other players in relatively unrestricted PVP. Players who spend money can handily destroy players who are just getting into the game. Yes, very Star Trek, very Federation, so true to the ideals and concept of Star Trek, except it's absolutely not. At all. In the end the game leaves you feeling enraged because of the unfairness of being attacked by players with several times more powerful ships than the ones you have painstakingly built up over weeks. Do NOT waste your time playings unless you wish to use $$ and bully others for fun, that is all this crappy game is about. There is no coop play the guild system is a joke. It's all a PvE grind terminated by a PVP destruction of your station and a permanent theft of any resources you have gained. In short play this if you enjoy being bullied,or are prepared to spend your way into bullying others, that is all the game is. It is NOT StarTrek in any way, shape or form. I spent some time reading recent reviews and comments by the developer. It seems pretty well certain that they do not care if you don't like their horribly imbalanced PvP disaster. They told one player that a base with resources should be shielded at Al, times. Very convenient since you need to spend $$ to have sufficient shields for a 24/7 regime they suggest. This is a cash grab and little more than a way of heading for disappointment at warp speed. Do not play this, install something else, don't even look at this steaming pile until they fix the balance of the game and deemphasize the PVP which is 100% pay to win. Really enjoying this game! Bit of a learning curve but all games have that. Really like the music. Was hoping we could have different voices for background music (unless I haven’t found that feature yet, hah). I enjoy the game building up getting ships and doing missions but when I level 19 can get nearly all my resources drained from my station from repeated attacks in minutes from a level 26 player shows the effort may not be worth it. I only have some resources because I used a relocation token to leave the system when i logged in and saw what was happening. New entries into the game are just going to feed others and never grow. Hostiles are always not reachable, clicking on them is useless as they’re only a not working icons. In addition to that several times of crashing. I believe that if you made a simulation for the battles if would be a great addition to the game. The customer service is horrific. They take 24 to 36 hours to respond and then refuse to fix issues. They treat paying customers like trash which is sad because it is a fun game to play. To bad they would rather rip off players than fix the bugs and issues in the game. 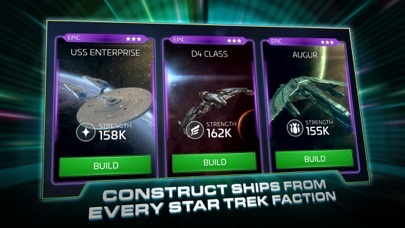 I feel this game is trying to be like 2 different games at once I feel like it’s trying to be a Star Trek rpg and than trying to be a clash of clans styled base builder which isn’t a bad thing I jus feel it tends to not blend in well but my major issue is where are all the characters can we at least get some TNG ones in here I don’t mind new age TOS characters but come one there is so much In the Star Trek universe like what about discovery characters you know I feel it doesn’t have enough content but at the same time has enough to keep you going point is if you live Star Trek your going to like this game so far everyone has there own pet peeve about this game mine is mainly not enough content and sometimes to many things happening on screen cuz it’s trying to be sorry not 2 but 3 types of games clash of clans, world war rising and Star Trek all at once idk maybe I was expecting a more chill vibe but got a more action vibe which is fine I know it seems like I have been ranting but it’s a really great game DOWNLOAD IT TODAY!!!! The developers are excellent at responding to there reviews!!! !